Flash up your lighters, it’s time to show your appreciation! On 26th August, Crissy Criss’s last 1Xtra outing hits the airwaves. And, as the show reaches its apex, the stroke of midnight signals Create the Future has been released to online retailers, so while Crissy is on air, you can salute his work by copping it immediately. The last decade has seen bass music, its roots firmly established in the underground, push shoots and branches up through the streets to mainstream acceptance, not only in the UK, but throughout the world. And undisputedly one of the most influential forces in this era of the low-end has been Crissy Criss. There are few people who can claim to have been part of the D&B scene since childhood. He can though. Step-son to the legendary jungle pioneer Kenny Ken, he was learning to mix at age 9, playing on Kool FM at 11, taking his first steps into production at 12, and chalking up his first release at 17. Since then, as part of BBC Radio 1Xtra’s roster, he’s championed all flavours of D&B and given crucial exposure to many new artists. But now it’s time to turn the page. Crissy Criss is leaving 1Xtra, so to celebrate his achievements, it’s only right he drops something victorious on Technique Recordings. 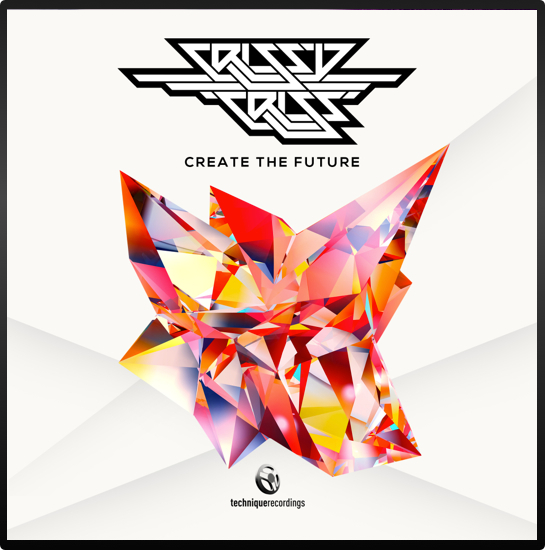 As the title Create the Future suggests, this track is about development. An almost deep house intro, rolling filtered piano chords around delicate stabs, is subsumed by a synthetic alarm-call and atmospherically- manipulated vocal samples as the beats and bass kick in. The sounds open and expands until a breakdown with tinges of soulful garage, before building back to an emotive climax. This is music with emotion, euphoria and pedigree, and a highly-suitable marker for the end of Crissy Criss’s 1Xtra journey. With every end comes the possibility of new beginnings, though. And as Create the Future lands, you know that Crissy will be busy living up to that title. So watch out, Crissy Criss has been released into the wild, so be prepared for what’s coming next.